Surya couldn't take Bollywood by storm with his debut stint in Hindi film Rakta Charitra, but offers from B-town haven't stopped coming in for the actor. The actor who is on the verge of wrapping up his film 7am Arivu with AR Murugadoss, has been approached by many a Bollywood filmmakers but hasn't signed any film yet. A source revealed, "Surya couldn't make a mark with Rakta Charitra but Bollywood filmmakers are aware of his potential and fan following. He is a great looker and is a superstar in South therefore, making a film with him in the lead makes a great business proposition." "Surya is currently looking forward to start shooting for KV Anand's next film Maatraan. 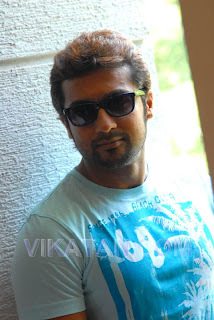 It's a big budget action film where Surya will be seen playing five different characters. It's a big and challenging film for him and he wants to give all his attention to this one project for time being," said the source. 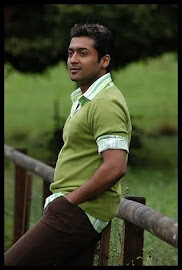 While Maatraan will hit screens in 2012, there's also buzz that Surya will play the lead in director Hari's next which is an emotional, action entertainer like Hari's earlier films.